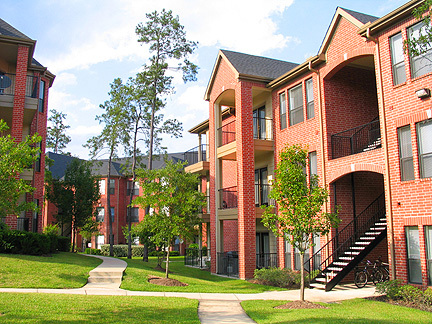 Apartments in The Woodlands Texas, including The Park at Research Forest, Boardwalk at Town Center, Whispering Pines Ranch, Sterling Ridge Estates, The Parkside, Lake Wyndemere, Forest View and Alden Landing. Secluded in the livable forest of The Woodlands, The Park at Research Forest is designed for those who truly appreciate both nature and convenience. Their premier amenities offer excellent opportunities for sports and leisure, all within a neighborhood of exceptional style and elegance. Their distinctive and sophisticated interiors, available in one, two and three bedrooms, include dramatic ceilings and appointments designed with your comfort in mind. Entertain your guests in the private party room complete with billiards or plan a cookout in the covered picnic area. The complimentary Resident Business Center, with high-speed internet service, provides a full range of the latest in office equipment and technology. If your pleasure is a stroll through the woods on private walking trails, work out in a state-of-the-art fitness center or simply relax to the sounds of a soothing waterfall by a tropical pool, then come home to The Park at Research Forest. Ideally located in The Woodlands in South Montgomery County, The Park at Research Forest is just minutes from the prestigious Woodlands Waterway and Cynthia Woods-Mitchell Pavilion; the finest in shopping, dining and entertainment is right in your neighborhood. To visit travel 1.2 miles West of I-45 on Research Forest Drive. Turn right on Research Park Drive and you will find The Park at Research Forest. Contact apartment locator George Hosek for pricing and availability. 281-782-3270 or click here to email me. 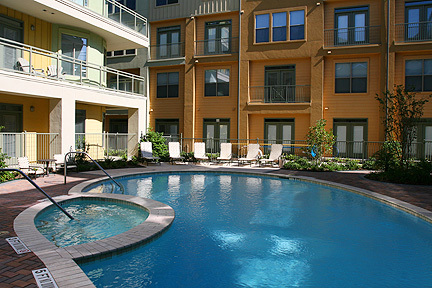 These upscale luxury apartments are one of The Woodlands newest and most prestigious rental apartment homes. 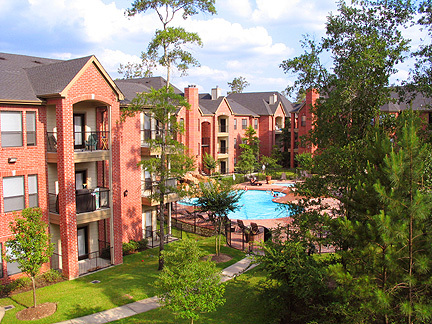 Perfectly located, with stunning panoramic views overlooking the beautiful Woodlands Waterway. Within walking distance to many of The Woodlands many attractions including Town Center, Cynthia Woods Mitchell Pavilion, Library and The Central Market. 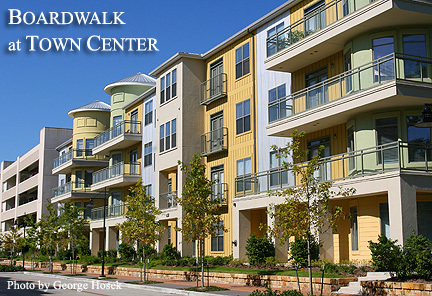 If you're think about living in The Woodlands the Boardwalk Town Center is the new, hip place to call home. 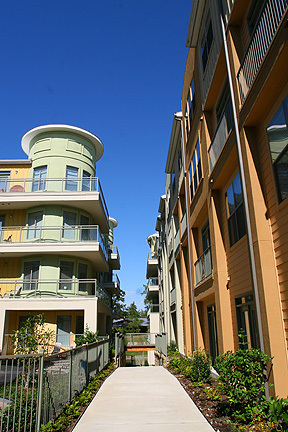 Panoramic views of The Woodlands Waterway. Captivating courtyards with fire pits. Two sparkling pristine pools with Jacuzzis. Scenic cocktail terrace overlooking private water feature. Rooftop terrace with breathtaking views of Cynthia Woods. Mitchell Pavilion and Market Street. Recreational area with outdoor fireplace and California kitchen. Outdoor spa enhanced lounge with tranquil fountains. Boardwalk with complimentary kayaks and cruiser bikes. Fully equipped restaurant quality gourmet kitchen. Cyber café equipped with business station and Starbucks coffee bar. Separate spinning & yoga area with certified instructors and scheduled classes. Resort-style health club with personal trainer. Wi-Fi throughout the clubhouse, pool area and cocktail terrace. Including The Inner Loop, The Medical Center, Midtown, Downtown, Uptown, Memorial and more.